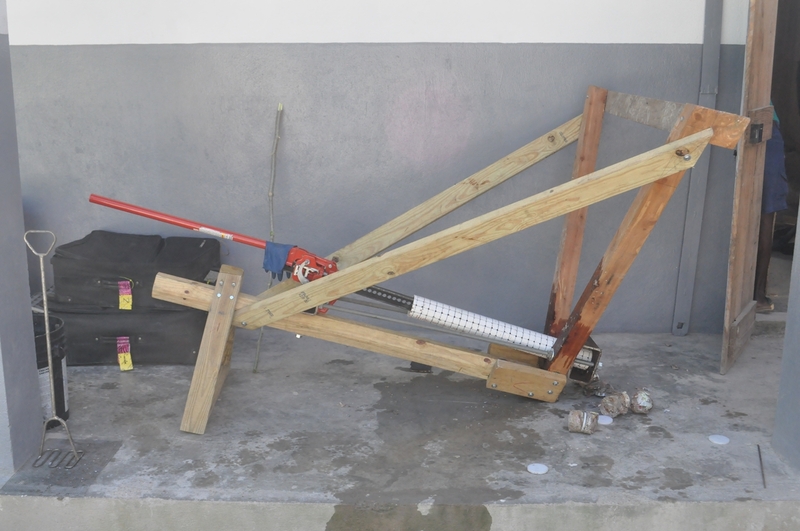 I was finally able to complete my tractor jack briquette press on a recent trip to Haiti. I started it in the spring, but had to load it into a shipping container in May before I could complete and test it. 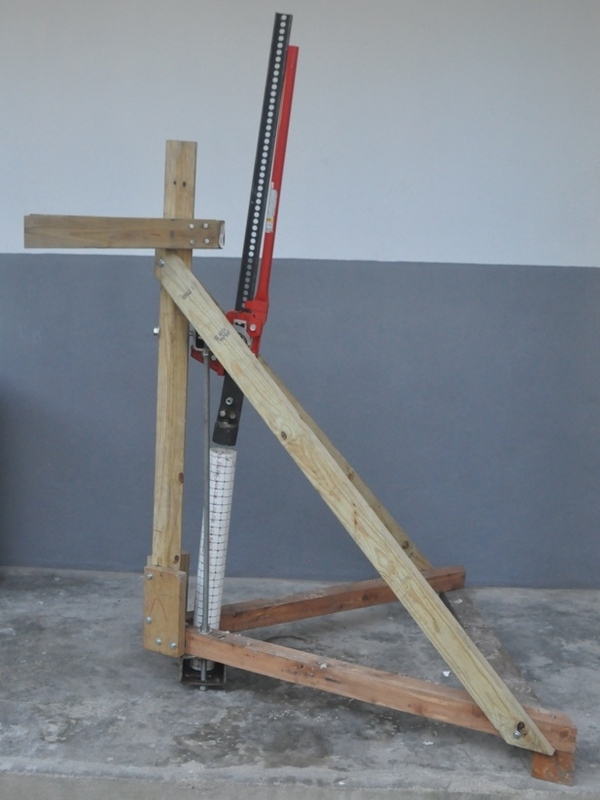 It uses a 3 1/2 ton (3.2 tonne) 48" (122cm) tractor jack. About 30" (76cm) pressing cylinder, 3" (76mm) diameter PVC . 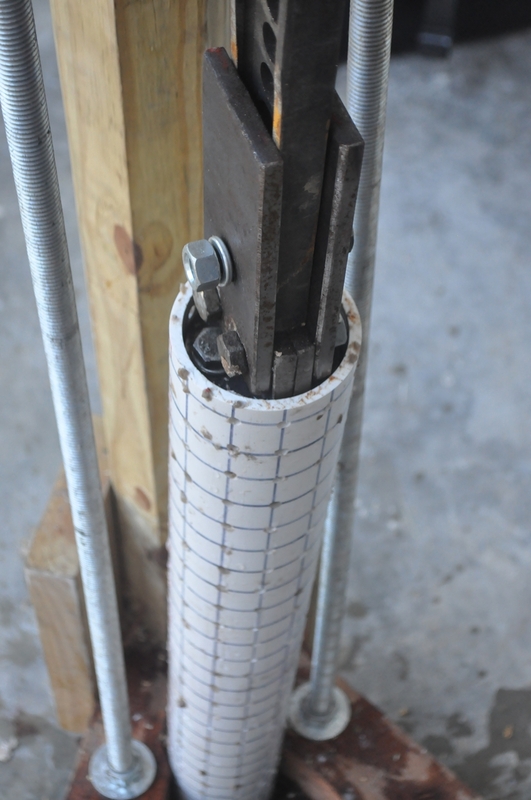 Two 3/4" (19mm) threaded rods for tensile members. 4' x 6" (10cm x 15cm) rectangular steel tubing base. 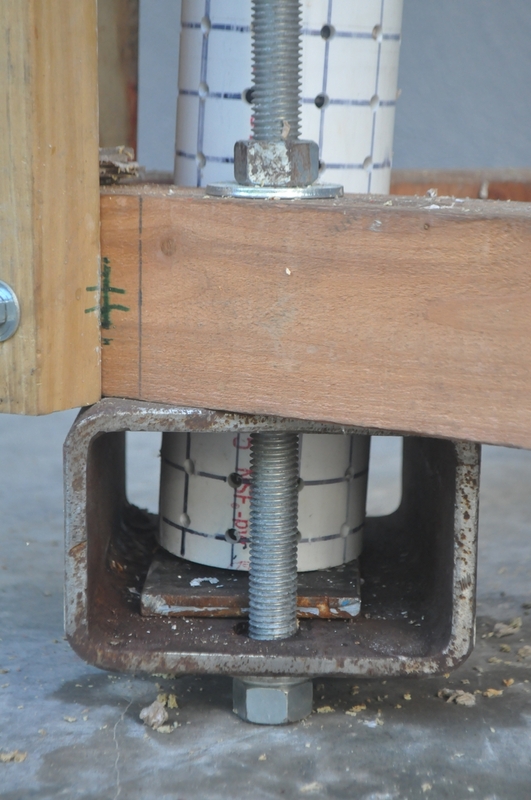 Shouldered hole in bottom to hold cylinder base while allowing briquette ejection. 4" x 4" (10cm x 10cm) square steel tubing top. Wood frame. Removable steel plate covers ejection hole for pressing. The machine tips to horizontal for briquette ejection. The long stroke allows for production of multiple briquettes at once with plastic disc spacers. The current design produces pucks. 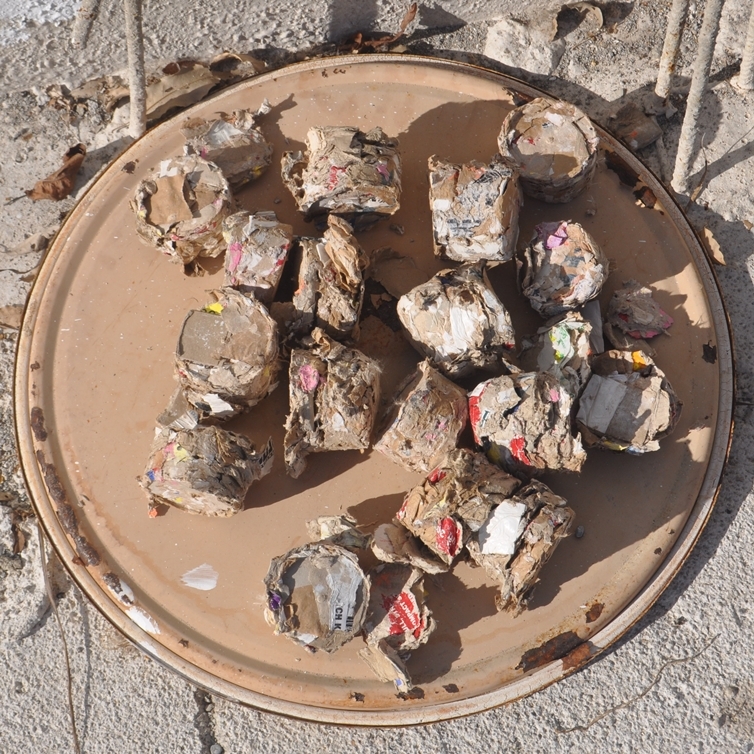 Holey briquettes are possible with some modifications. We hand tore the paper and only soaked it briefly. The briquettes were quite dense and held together well.